The story that began on a winter night in January with a telephone call from Bruce Bailey of San Diego to The Times office. It was late. He caught a reporter on his way out the door. Mr. Bailey asked him if he could spare a few minutes to listen to his story. He wanted to identify the mother and two children from Martha’s Vineyard that he met in a departure terminal at Logan Airport in Boston the Sunday following Christmas. Mr. Bailey wanted to let the Vineyard family know how much their kindness during that meeting meant to him. He explained that eight months earlier his wife had died of pancreatic cancer. In December, Mr. Bailey decided to travel East for one week, a trip he described as a memorial tour. The terminal was crowded as he waited for a Southwest Airlines flight to return to San Diego. He struck up a conversation with a woman with two children from Martha’s Vineyard. The conversation was casual despite a few tears as the older man, mother, and children shared the details of their lives. After about 40 minutes, they said goodbye and boarded the same plane. Before the plane landed in Phoenix the two girls handed Mr. Bailey two notes that he placed in his pocket. Later, when he read their words of kindness he was deeply moved. That winter night, Mr. Bailey told The Times why he wanted to contact. “What I would like them to know is that even at their young age they can help the world be a better place, and I’m a perfect example of it. They have helped me immeasurably in my outlook on getting through grief. That’s what they should know. “Do you think there’s any chance we can find them?” he asked a reporter. The resulting story, “Healing notes of kindness span generations and the nation,” appeared on mvtimes.com and in print January 27. 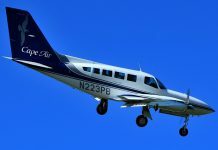 It did not take long for readers to identity the mother and two children from Martha’s Vineyard that he met in the departure terminal as Gina Patti of Oak Bluffs and her daughters, Grace and Kaya. 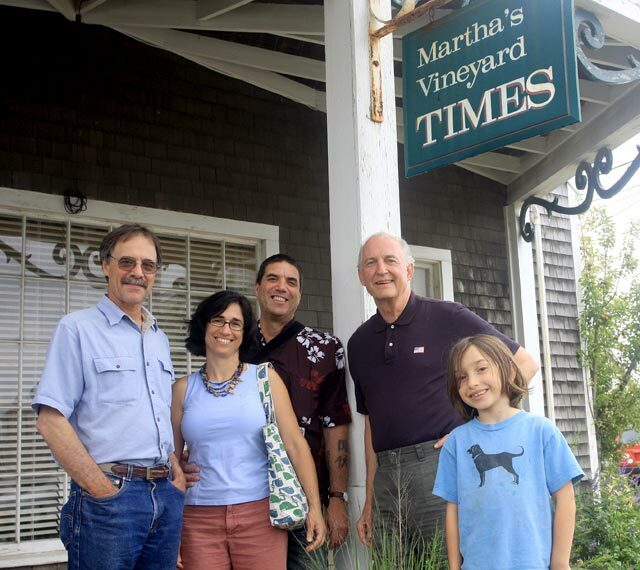 Last week, Mr. Bailey made good on his promise to visit Martha’s Vineyard and the family that had touched him so deeply.